My questions had landed me into having a full-blown crisis of faith. I had not grown up in an evangelical church, so I had no background in skepticism about radiometric dating methods, that so many kids today in home-schooled families regularly ingest, from their online science curriculums. But I had also become a follower of Jesus in high school, having realized that my nominal church upbringing was pretty weak when it came to understanding the Bible and its authority. So, here I was in college, confused as to whom to believe. Do I trust my pastor? Do I trust the scientists? Is the truth of Christianity tied to a belief in a 6,000 year old earth, contradicting the modern, scientific consensus? I was conflicted. I believed what my pastor taught about the authority and truthfulness of the Bible. But I also admired how all of the available evidence, from multiple disciplines in the sciences, pointed towards a very old earth. I was willing to believe “what the Bible said” to be true, but why would God say one thing in the Bible, and then reveal something completely different in the created world, He had made? I knew that God was “not a God of confusion” (1 Corinthians 14:33 ESV). But I was confused. 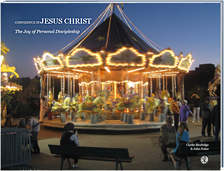 Christianity and the Age of the Earth, was written by Davis A. Young, a geology professor at Calvin College. Though trained as a scientist, he was also very familiar with the Bible. Reading his book was like a breathing a breath of fresh air, in the midst of my cognitive dissonance. In the days before the instant information age of the Internet, I immediately dove into Young’s 188 page book, looking for answers. In the midst of a heavy course load, I snuck in a few hours here and there, reading Christianity and the Age of the Earth, and a great peace of mind relieved my anxiety. God could have created the world any way He wanted, at any time He wanted, but this need not contradict with anything He has revealed already, in the natural world. That was a good 35 years ago. Today, Young Earth Creationism is more well-known than ever. It is still at odds with the scientific consensus, the latter being overwhelmingly promoted in public school education and public science museums. But Young Earth Creationism has a wide ranging and growing influence today in Christianity, with a very popular Creation Museum and full-scale replica of Noah’s Ark in Kentucky, drawing in millions of Christian visitors, over the past decade. Young Earth Creationist apologetics have matured greatly over the years, and more and more Young Earth believers are earning PhDs in various scientific fields. Is it possible, that a renewed enthusiasm for a Young Earth, might overthrow the work of thousands of mainstream scientists, who tell a very different story? Davis A. Young’s 1982 classic book that straightened out my cognitive dissonance, in college. Though dense at 188 pages, I could handle bits and pieces, in between my other studies. So, when Davis A. 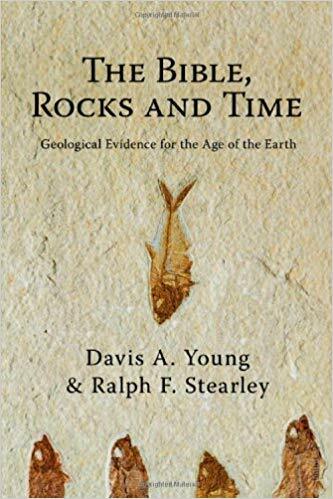 Young, and a fellow evangelical geologist colleague, Ralph F. Stearley, wrote a follow-up book in 2008, The Bible, Rocks and Time, to update Young’s original work, I took notice. The problem was that The Bible, Rocks and Time, has a lot more thickness to it, coming in at a whopping 510 pages, nearly three times the size of the original Christianity and the Age of the Earth. 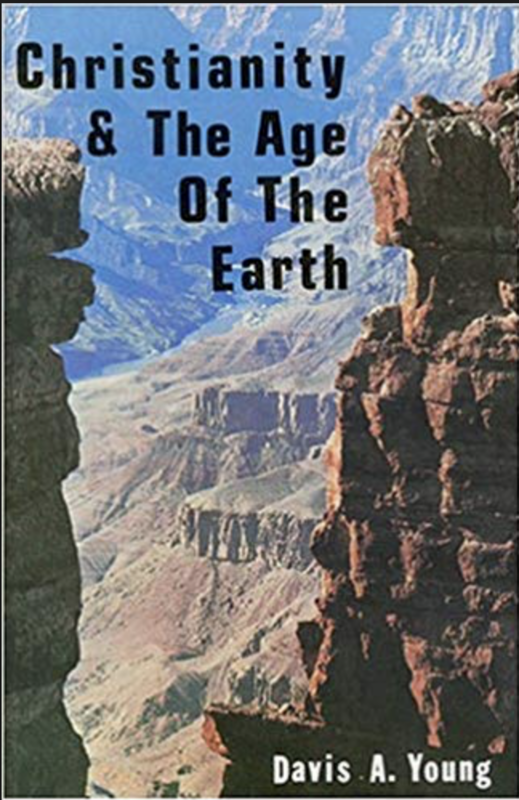 But the debate over the age of the earth is an important issue for me, along with many other people, so I put the new book on my “to-be-read” list. I was finally able to tackle the new book this year (on a plane trip to Europe, and while recovering from a bicycle accident), and there is a good reason why The Bible, Rocks and Time, is so much more dense. Back in the early 1980s, something like Young’s Christianity and the Age of the Earth, was pretty rare. It was difficult to find any book like this, that tried to wield together a high view of Scriptural authority with a positive appreciation for the modern scientific consensus. As a result, Young Earth Creationist apologists have been highly critical of Christianity and the Age of the Earth, so the authors of The Bible, Rocks and Time, felt compelled to more thoroughly engage those criticisms. Those with a very dogmatic view upholding a Young Earth, will still find The Bible, Rocks and Time to be frustrating. But for those with a more open mind, I found The Bible, Rocks and Time to be fair minded and thoughtful, while still landing firmly on a view affirming how an Old Earth is compatible with orthodox Christian belief. The Bible, Rocks and Time is arranged in four parts. Part one gives a detailed history of how the scientific consensus emerged, in the past 300 or so years, among geologists and interested theologians regarding the age of the earth. Young and Stearley’s history is important as it serves as a counter-balance to the work of Terry Mortenson, a scholar and influential historian of geology with Answers in Genesis. Mortenson is a no slouch himself, being a very capable historian, having written extensively about the “Scriptural geologist” movement of the 19th century, with very compelling video presentations, to support his view. I met Terry Mortenson five years ago, when he held a weekend seminar on Creation at a local church and outreach event at the College of William and Mary. I found this former Campus Crusade for Christ minister both captivating and earnest, and a very kind hearted and Scripturally knowledgeable person, much like my pastor in college. But I was frankly disappointed, that he never engaged the arguments of Old Earth Creationism in his talks, particularly when speaking before a largely secular audience of students, at the College where I currently work. On the other hand, Young and Stearley do address Mortenson’s central argument; namely, that 19th-century geologists were held ideologically captive to an “anti-biblical, anti-Christian” philosophy, that requires millions of years to make sense of earth’s history. Contrary to Mortenson, Young and Stearley argue that highly respected evangelical Christians were among those who came to the conclusion about the great antiquity of the earth, without seeing a conflict between the Bible and the “anti-biblical, anti-Christian” philosophy that Mortenson proposes. For these early Christian pioneers in geology, there was no “anti-biblical, anti-Christian” presuppositional philosophy corrupting their thinking. This historical analysis alone is well worth the effort spent reading The Bible, Rocks and Time. [I had] worked out and presented the statements of the Book of Genesis in a variety of ways according my ability; and, in interpreting words that have been written obscurely for the purpose of stimulating our thought. I have not rashly taken my stand on one side against a rival interpretation which might possibly be better. I have thought that each one, in keeping with his powers of understanding, should choose the interpretation that he can grasp. …in matters that are obscure and far beyond our vision, even in such as we may find treated in Holy Scripture, different interpretations are sometimes possible without prejudice to the faith we have received. In such a case, we should not rush headlong and so firmly take our stand on one side that, if further progress in search of truth justly undermines this position, we too fall with it. That would be to battle not for the teaching of Holy Scripture but for our own, wishing its teaching to conform to ours, whereas we ought to wish ours to conform to that of Sacred Scripture. Augustine is not always an infallible interpreter of Scripture. But this seems to be the very point that he is making regarding any Christian’s ability to interpret the sacred text. We should be willing to rethink our interpretation of the Bible, if the evidence points us in that direction, without compromise to the core principles of our faith. If we would only heed Augustine’s advice and humility today! Young and Stearley take great care to lay out the case for the traditional, Young Earth interpretation of Genesis 1, but they also address some of the arguments that have been used to support the traditional view, showing that the tradition does not necessarily hold up to rigorous analysis. For example, Christians long ago revised their interpretations of Psalm 93:1 and Joshua 10:12-14, that traditionally have suggested that the Earth is stationary, with respect to the sun. Some have taught that to treat the days of Genesis as anything other than strictly 24-hour periods threatens to undermine the historical character of other parts of Scripture. As Ken Ham, the president of Answers in Genesis, that sponsors the Ark Encounter and Creation Museum in Kentucky, has said, if you doubt what God “says” in Genesis, why would you trust anything else in the Bible, such as the Resurrection of Jesus? But Young and Stearley show that this way of thinking is not the case, as many affirm an Old Earth, while vigorously affirming the historicity of personalities, like Abraham or David, not to mention the validity of the New Testament as to the bodily Resurrection of Jesus. Some wish to play down the metaphorical elements in Genesis, and yet the Old Testament is filled with metaphorical elements intertwined within historical narrative; such as the use of poetry to describe Moses’ deliverance from the Pharaoh (Exodus 15:1-18) or Deborah’s deliverance from Sisera (Judges 5). Nathan told King David a parable, a non-historical narrative, to expose David’s historical sin (2 Samuel 11-12). The Bible is apparently unembarrassed in the use of fictional and poetic elements to proclaim God’s truth, when the evidence of the text itself calls for it. The Bible does indeed present for us historical narrative. But does this mean that exact chronology is on the agenda for every portion of Scripture? For example, the Book of Psalms has several examples reordering or even omitting certain historical details. In describing the plagues against Egypt, while the Hebrews were still captive slaves, compare Psalm 78:44-51 and Exodus 7-11, where Asaph reverses the order of the plagues (flies and frogs, locusts and hail) and omits the plagues of gnats, boils and darkness, and refers to only the livestock with the plague of the hail. Compare yet again the same story with Psalm 105:28-36, where the psalmist switches the order of the plagues of gnats and flies, omits the plague of boils and livestock, and puts the plague of darkness at the beginning of the plagues list. A common argument used to defend the traditional view of Genesis 1 tries to link that text with the teaching about the Sabbath day of rest, in Exodus 20: Just as the days of a normal, human week are 24 hours each in length, so must be the days of Genesis 1. But this assumes that God’s “days” are just like human “days,” which is not necessarily a convincing assumption. Moses parted the waters with an outstretched hand (Exodus 14:16, 21-27), but likewise the Bible teaches that God stretched out his own “hand” to do mighty things (Exodus 15:6, 12). But does this necessarily mean that God has a “hand” like a human hand? Does God destroy His enemies with something like a King Kong sized physical “hand?” Hardly. The days of Genesis correspond to the days of Exodus 20 as an analogy, not an identity. The term “create” (Hebrew: “bara”) is often assumed to mean an instantaneous, immediate creation event, always out of non-existent material (ex-nihilo). But the terminology of “create” is often used interchangeably with the terminology of “made” or “formed.” See Genesis 2:7 as a good example of this, from a non-ex-nihilo perspective. God formed man out of the dust; that is, with pre-existent material, yet with very little detail as how this was accomplished. Other examples of non-instantaneous, non-immediate use of “create” include Isaiah 43:1; Isaiah 45:7; Amos 4:13; Psalm 104:30; and Psalm 102:18. Psalm 33:6-9 suggests instantaneous, immediate creation, but similar language is found in different contexts elsewhere, as in Psalm 147:15-18. The use of such creation language more properly speaks to God’s decisiveness to get things done, as opposed to describing the length of time God takes to get the job done (see Isaiah 55:8-11). The seventh day of creation has no “evening and morning” attached to it, implying that we are still living in the “day” of God’s creative rest (see Hebrews 4:1-6, for further support). The naming of the animals on day six would have taken much longer than a 24-hour period, as “naming” something in Scripture assumes an intimate understanding of the character and nature of that object (or animal, here), and that takes time. Names can not be rattled off in a mere instant, which would be required by the traditional view. Adam’s reaction to the creation of woman, with “This is now bone of bone…” also assumes that that Adam was lonely for quite a long time, as opposed to describing an event that only took place within a 24-hour time frame. And from the fountain those that filled. He tarried a day and a second. A third, a fourth day. A fifth, a sixth day. Until the howling of the watchdog. Young and Stearley point out that in this seven-day literary structure, the definite article is lacking, except for the seventh day. Likewise, in Genesis 1, the definite article is lacking for days one through five, only showing up with a definite article on days six and seven. Curiously, no ordinal (“first”) appears with day one in the Ugartic text, just as we find it in Genesis 1. This does not mean that Genesis 1 simply borrowed ideas from pagan cultures, an idea often promoted by liberal critics of the Bible. It simply means that such literary structures, during the period when Genesis was written, were in common use among many Ancient Near East cultures, including the Hebrews. Other examples are given by the authors, but the evidence even this far is compelling, in that Numbers 7:11-83 and Numbers 29:12-38 lack these characteristics. What does the parallel to Ancient Near East literature tell us about Genesis 1? Young and Stearley make the case that such seven-day literary structures are intentionally symbolic, from the original writer’s perspective. The number seven, in the Ancient Near East, represented the concept of “completeness.” The repeated patterns of the first six days, culminate in a resolved, completed action on the seventh day. In the case of Genesis, this would indicate that Genesis 1 is not trying to give us a chronological ordering of specific divine activity. But rather, it is trying to demonstrate that it is Yahweh, the God of the Bible, who definitively completes the work of Creation, having complete mastery over it, as opposed to the gods of the pagans, who are pretty much held subject to the forces of the material world. Were the ancient Israelites really concerned about matters of “science,” as we moderns are, when it comes to reading Genesis? One of the more difficult aspects of Genesis 1 concerns the establishment of a firmament (or raqia’, see the ESV wording of “expanse” or “canopy,” in Genesis 1:6-8), on day two, that separates the waters above the firmament from the waters below the firmament. 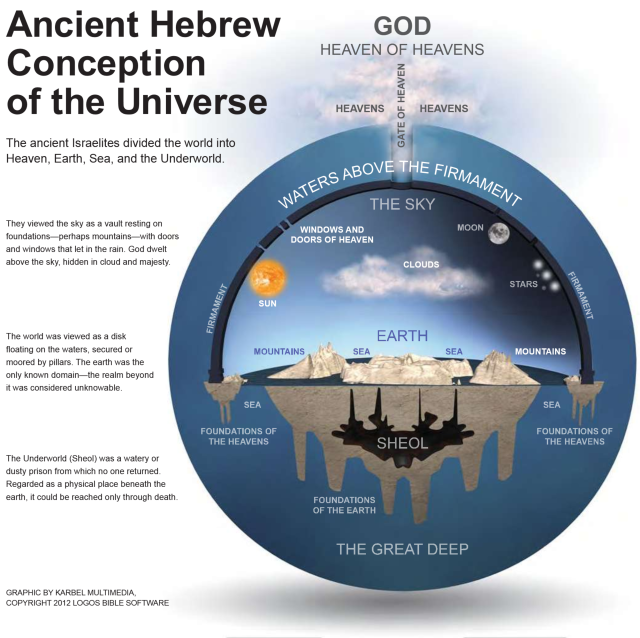 Many evangelical Bible scholars accept that the ancient Hebrews viewed the world as having a solid dome surface, at the sky, separating the waters above the firmament with the waters below. (credit: Logos Bible Software, the FaithLife Bible). We have the problem of what to do with the waters above the firmament: Is this merely “water vapor,” as so many Young Earth Creationists claim, which is clearly a metaphorical interpretation of “the waters above the expanse,” an often overlooked observation? But there is more. We must also consider the firmament itself. Stars are in the firmament and birds fly across the face of the firmament (Genesis 1:17,20). God hammers out the firmament as hard as a mirror (Job 37:18). God’s throne rests on the firmament (Ezekiel 1:22, 25-26). The Ancient Near East writers essentially believed that the firmament or “sky” was a solid vault. Underneath this vault existed the flat disc of earth’s surface (that some conservative Christians today mistakenly believe implies God’s endorsement of a “Flat Earth”). Throughout this second part of the book, Young and Stearley also give sympathetic treatments of the gap theory of Genesis 1:1-1:2, the day-age interpretation of Genesis 1, and the framework view of Genesis 1, among other perspectives. Part three of the book is probably the toughest material in The Bible, Rocks and Time, as it addresses particulars of modern geology, and the debate with Young Earth Creationism. But for a good primer of modern geology, part three is an excellent place to investigate in-depth, particularly when it comes to detailed examination of how radiometric dating works. Young and Stearley carefully and fairly critique the skepticism of radiometric dating methods, often advanced by some Young Earth Creationists. The last part of the book, part four, is probably the most challenging part of the book, as the authors seek to critique the philosophical commitments of Young Earth Creationism. This section successfully shows where a presuppositionalist approach to apologetics differs from a more evidentialist approach to apologetics, that this blogger favors. For example, Young Earth Creationism requires a commitment to a presuppositionalist view, that presupposes the traditional interpretation of Genesis 1 to be “the” correct interpretation of the Bible, thus overlooking evidence that might run contrary to the presupposition. Young and Stearley show how several Young Earth Creationists critiques of Old Earth Creationism assume that Old Earth proponents are driven by an “anti-biblical” assumption, that the present is the key to the past, which requires a “deep-time” paradigm to explain earth’s history. In particular, Old Earth Creationism assumes a commitment to “uniformitarianism,” the belief that only slow, gradual changes of earth’s surface can adequately explain the history of the earth. Young Earth Creationism, in contrast, holds to a commitment to “catastrophism,” the belief that only huge catastrophic events can explain the history of the earth, in particular, leaning on the global flood of Noah as the primary catastrophic event. I have a number of Young Earth Creationist friends who get really nervous whenever some Christian deviates from a six-24-hour-day view of Creation. These friends think that Old Earth Creationism is just one step away from denying the Bible, and walking away from the faith… and they surely do not want their kids exposed to such “compromised” teaching. I can appreciate these concerns. But those who fear such “compromise” would do well to consider the arguments presented in The Bible, Rocks and Time. This fear of “compromise” is really a slippery slope argument. A slippery slope argument becomes a logical fallacy, if there is evidence that suggests that the slope is more imagined than real. Sure, some may slide down a slippery slope towards unbelief, but not everyone does. I can think of folks who have walked away from the faith, over science/Bible issues, just as my Young Earth Creationist friends have dreaded. But I also know of other, faithful Christians, who have been bolstered in their faith, by learning about Old Earth Creationist perspectives. Typically, science/Bible issues are not the sole cause of unbelief, as there are more than likely other factors at work as well. In my case, it was a tremendous relief to have stumbled upon Davis A. Young’s Christianity and the Age of the Earth, back in my college library so many years ago. My mind and heart finally felt at peace, when I finished the last page of the book. I could still be a Christian, and not throw my science-oriented brain out the window. The God of the Bible and the God of Nature were one in the same. Years later, as I read this updated edition, titled The Bible, Rocks, and Time, I once again experienced that sense of confidence in God and His Word. Young and Stearley believe that the Young Earth view simply can not be defended, in a world of skepticism. Granted, Young and Stearley might turn out to be wrong, in their interpretation of the Scriptures. But embracing the idea of an Old Earth, even if only at a theoretical level, does not mean that a Christian is sliding into heresy. Now, the greatest drawback of The Bible, Rocks, and Time is the sheer length of the book. That will probably be a big turn off for the casual reader. But for those who wrestle deeply with these questions, like I have, the investment is well worth the energy. Things have changed over the years, since I first read Davis A. Young’s book in college. I am less anxious about these type of questions, and I think I finally “get” what Young Earth Creationism is all about. I have a greater appreciation for the philosophical arguments proposed by Young Earth Creationists, and I know that there are many wonderful followers of Jesus, whom I respect, that embrace the traditional, six-24-hour-day view of Creation. My college pastor, to this day, runs a private Christian school that actively promotes Young Earth Creationism, and yet I am still impressed at how contagious his love for Jesus is, and how deeply he loves the Scriptures. God can, and has done, a number of miracles, the Resurrection of Jesus as being the chief miracle of all. The act of Creation would be another. But as the authors of The Bible, Rocks and Time contend, trying to explain any miracle with respect to creation, in the language of science, where the current scientific consensus fails to find evidence for that particular use of science, can be dangerous. Such an approach may give Christians the wrong impression, that we have the empirical data to support something scientifically, when in reality, we do not. This is probably the most alarming part of the book, and contentious, for those who are Young Earth Creationists.3 The authors of The Bible, Rocks and Time believe that Young Earth Creationism has created a credibility crisis for presenting the Christian faith to scientific-minded people. The rhetorical argument presented by at least some Young Earth Creationists, with respect to “compromising” the Scriptures, can be turned on its head: For if you can not trust what Young Earth Creationists have to say about the created world, why would you trust what they have to say about the Bible? I know several Young Earth Creationists who might sneer at that, and charge the reverse, that Young and Stearley are simply catering to the fashionable opinions of their worldly, secular colleagues. How does one respond to this controversy? My convictions ultimately draw me back to the Scriptures. For example, Bible passages, such as Psalm 19 and Romans 1, suggest that what can be known about God through the created world, through general revelation, should never contradict what can be known about God through the Scriptures, through special revelation. Apparent contradictions between the two are simply that. They are apparent contradictions that can be resolved through careful, diligent study, both in the sciences and the Bible. Suggesting that God acts differently through general revelation than he does through special revelation does not serve the Gospel well. If enterprising Young Earth Creationist scientists really believe that they can overturn the current scientific consensus, by making testable predictions that support a Young Earth view, then more power to them! The scientists I know are data-driven people, and if someone can come along with a better theory to explain the evidence, then surely those contrarians should put their best case forward. But until that day comes, Christians need to somehow come to peace with learning how to trust both the Bible and science, together. At the end of the day, what drives the modern scientific consensus is not some inherently hostile, anti-Christian worldview, though surely there are those who do think that way. Both Young Earth and Old Earth Creationists can unite in opposing an unbiblical approach to creation. But the main message behind The Bible, Rocks and Time is that Christians, who have a high commitment to the authority of God’s Word, have nothing to fear from a desire to follow the evidence wherever it leads, even if it leads to the view of an Old Earth. This entry was posted on Wednesday, November 21st, 2018 at 10:00 pm	and tagged with Creationism, davis a. young, geology, Old-Earth Creationism, ralph f. stearley, Young-Earth Creationism and posted in Apologetics. You can follow any responses to this entry through the RSS 2.0 feed.